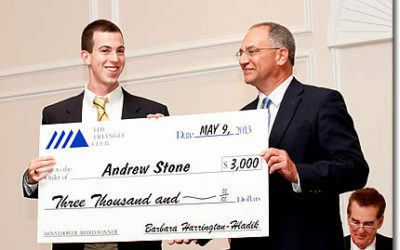 The Triangle Club’s “keystone event” is the Awards Banquet held on the second Thursday of May at the Presidential Caterers in East Norriton, Pennsylvania, located just north of Germantown Pike on Route 202N. 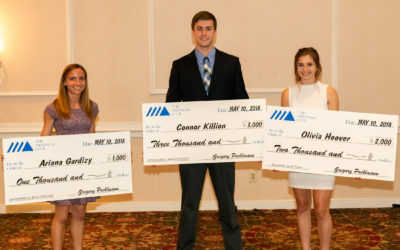 At that time the club recognizes high school seniors, selected by their schools, for their outstanding accomplishments in athletics, academics, and community service. Public and private high schools throughout Montgomery County will recommend one senior for the Dannehower Award by submitting the student’s application and resume to our selection committee for review. 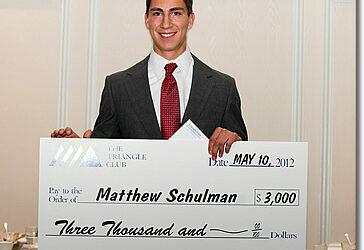 After careful consideration, the committee chooses the Dannehower Award winner as well as a first and second runner up. 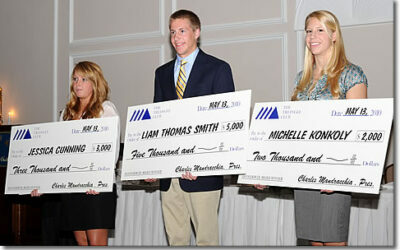 The event provides an opportunity to publicize the achievements of these outstanding young men and women. All honorees are accorded individual recognition and their accomplishments read to the audience at the time of the dinner. 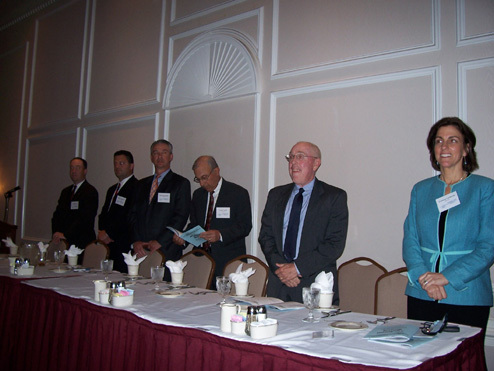 (From left to right): The head table included Geoff Brandon, John Haley III, Paul Kozeniewski, Frank Caiola, Jim Rogers (guest speaker), and Carolyn Tornetta-Carluccio. 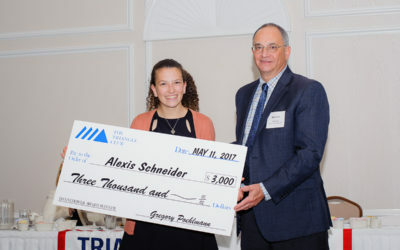 Family and supporters of Perkiomen Valley High School nominee Colleen Valerio (right) were some of the Triangle Club’s nearly 250 Dannehower Award Dinner attendees. The 54th annual Dannehower Award Banquet. The 53rd annual Dannehower Award Banquet. The 52nd annual Dannehower Award Banquet was held on Thursday, May 14, 2015 at Presidential Caterers in Norristown. The 51st annual Dannehower Award Banquet was held on May 8, 2014 at Presidential Caterers in Norristown. 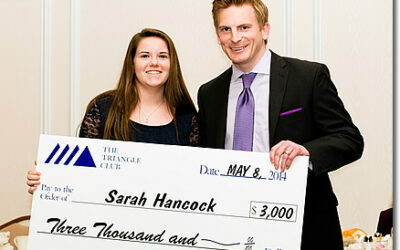 Sarah Hancock from Spring-Ford High School won the 2014 Dannehower award and a $3,000 scholarship. 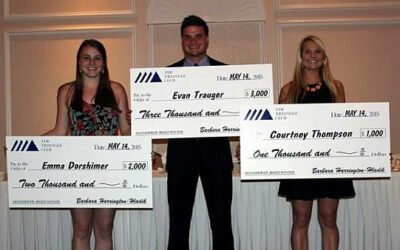 The 50th annual Dannehower Award Banquet was held on May 9, 2013 at Presidential Caterers in Norristown. 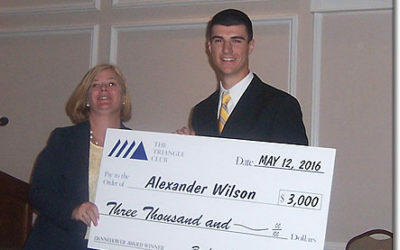 The 49th annual Dannehower Award Banquet was held on May 10, 2012 at Presidential Caterers in Norristown. 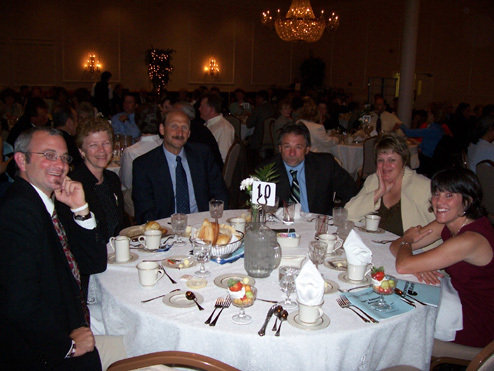 The 48th annual Dannehower Award Banquet was held on May 12, 2011 at Presidential Caterers in Norristown. 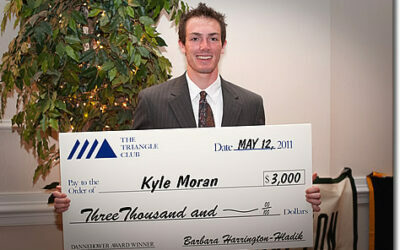 The 47th annual Dannehower Award Banquet was held on May 13, 2010. 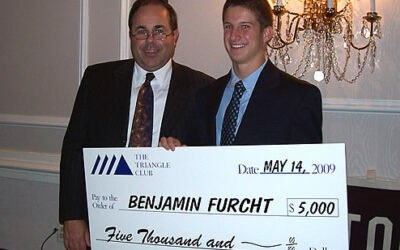 The 46th annual Dannehower Award Banquets was held on May 14, 2009.